I was able to spend 15 minutes with the Galaxy Note 8 today, and although I stand by my initial thoughts that the Note 8 launch is boring, the device itself isn’t bad. In fact, it’s a fantastic phone. 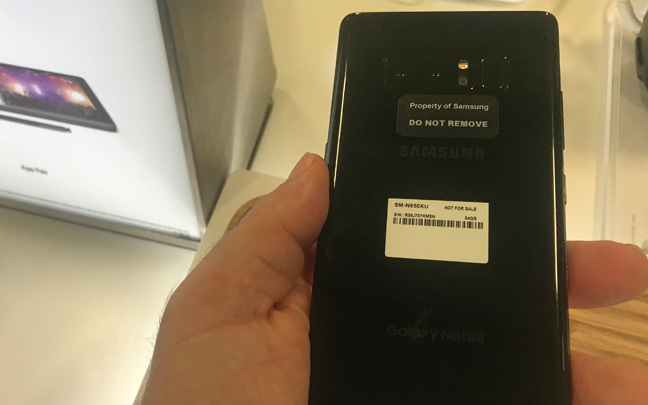 My very first thought as I handled the Note 8 was that if felt good in my hand, and I liked how the corners are square instead of rounded like they are on the Galaxy S8. Here are some other initial thoughts. The S Pen, as usual, is great. But it hasn't changed much. Samsung still has the fingerprint reader by the camera lenses and flash. But the fact it is is slightly farther away than it is on the S8 really makes a difference. The Live Focus mode that is supposed to blur out the background doesn’t work in all situations. Perhaps I need more time to play with it. Samsung’s new camera matches the quality of the iPhone 7 Plus camera, which has been the best on the market for the past year. The return of the S Pen feels good. However, with the exception of a couple gimmicks, I don’t see it as any different from the S Pen on the Galaxy Note 7. OneNote is not pre-installed on the Note 8 — a sin! It is downloadable for free, so it’s not that big of a deal. 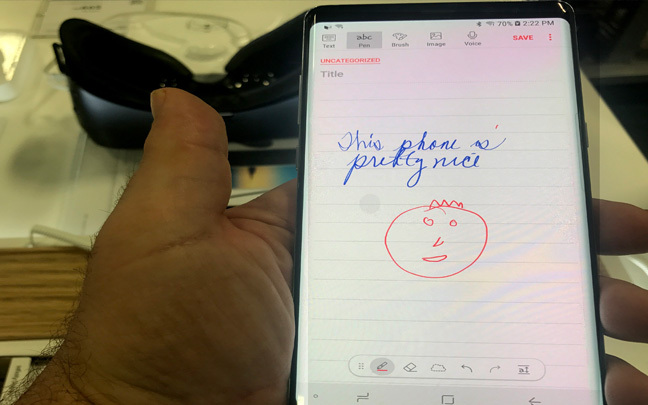 The Note 8 really feels like the device Samsung always wanted to make — a large-screen phone that can take digital notes and doesn’t feel like a brick. It can easily fit in your pocket. Battery life seems to depreciate faster than it did on the Note 7. This is likely due to a smaller battery, which Samsung has been smart about since they don’t want devices blowing up in people’s faces. Facial recognition still feels like a gimmick. This is the first Note since 2012 that I don’t feel in a rush to buy. The Note 8 now has a dual-lens camera. All in all the Samsung Galaxy Note 8 is a great device if you don’t own the Galaxy S8 or S8+. Unless you want S Pen capabilities and the dual camera, there is no reason for you to upgrade to Samsung’s latest phablet if you have the S8. The Note 8 really is what many describe as a Galaxy S8 with an stylus. Samsung has played it very safe this time; it’s something they had to do. 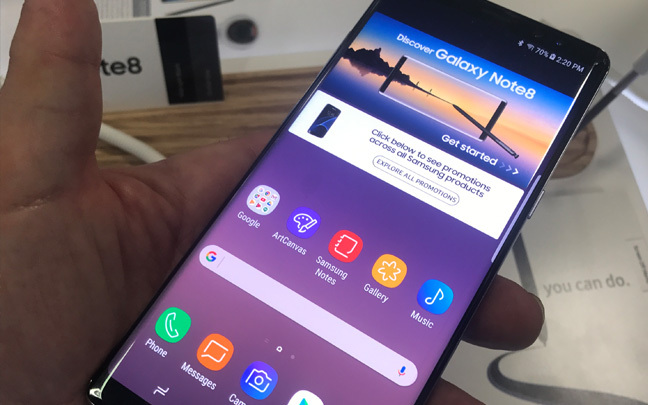 But by playing it too safe, Samsung’s new phone will likely become an afterthought once Apple announces the iPhone 8. This entry was posted in Review and tagged Galaxy S8, iPhone, Note 7, samsung galaxy note 8. Bookmark the permalink.